The new owner of the Muscle Max Gym in Pakenham referred to in this article took over in January this year, well after the events related in this court report, and is in no way connected to the Comanchero outlaw motorcycle gang. The “entirely innocent” owner of a Pakenham gym has been traumatised since being targeted in a drive-by shooting linked to the Comanchero outlaw motorcycle gang three years ago, a court has found. 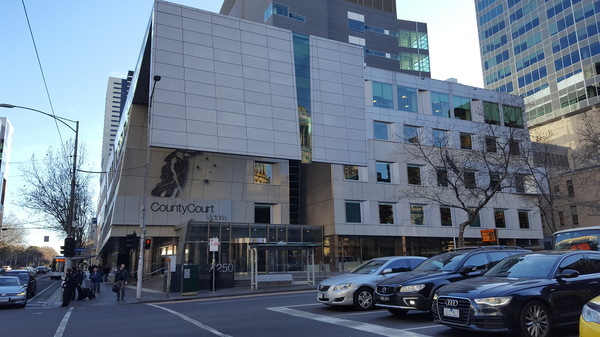 Kevin Nguyen Le, the driver during the shooting, pleaded guilty to conduct endangering life at the Victorian County Court. Le, 27, and an unknown gunman agreed on the shooting to frighten and intimidate the victim who was regarded as a competitor to a Comanchero-associated business, Judge Phillip Coish said during sentencing on 12 April. Le was also involved in the tracking of the victim’s car in the 10 days leading up to the shooting, the court heard. “I find that the motivation for this offence was to intimidate the victim as a consequence of him establishing a gym in direct competition with Muscle Max Gym in Pakenham,” Judge Coish said. The victim owned eight gyms across Victoria, opening a new gym in Pakenham in April 2015. In a victim impact statement, he described the “terrifying” incident’s chronic effect on him and his partner. He had thought he was going to die, the court heard. Since the incident three years ago, he had been blighted by anxiety and depression, and felt tainted by the incident. “Yet it must be emphasised he was an entirely innocent and blameless victim of an awful shooting,” Judge Coish said. On 6 May 2015 a tracking device was installed on the victim’s vehicle. It sent messages to a mobile phone of a person “in possession of clothing with the Comanchero logo,” Judge Coish said. Le rang that person on 7 May, and received signals from the device as well as installing a second tracking device on the vehicle. He made 85 calls to the two devices over 10 days. 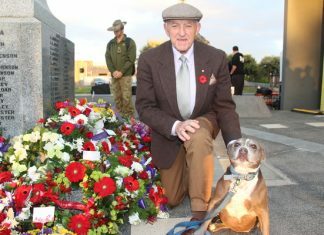 On 21 May, the victim pulled up on the nature strip outside his house in Burnside in Melbourne’s west, the court was told. Le drove up to the car in a Commodore with changed number plates. An armed balaclava-clad passenger got out, ran up to the driver’s side of the victim’s car and fired three shots from a handgun, showering the victim with the window’s glass. The victim drove away as the second shot was fired. He felt a pain in his right rib-cage and was treated for cuts to his right arm. Le and the unknown gunmen fled in the Commodore at speed, the court heard. Judge Coish accepted Le’s early plea of guilty, genuine remorse, lack of prior convictions and that he was of previously good character. Le had grown up in a strong Vietnamese family but fell into a problematic drug-using social scene and connections with this type of offending. An “immature man” at the time of the shooting, Le took positive steps before he was arrested, such as full-time work, finding a stable relationship and going drug-free. Judge Coish noted the number of glowing references describing Le’s warm-heartedness, love of cooking and help to charities. He concluded Le’s rehabilitation prospects were good. Judge Coish said the offending was “very serious indeed”, marked by sophisticated planning and preparation. He rejected a defence submission for a combined community corrections order and jail. The sentence had to discourage others from using firearms in such a way, as well as reflecting community denunciation and the need for a just punishment, he said. Le was convicted and jailed for up to three years, with a non-parole period of two years.